One of the things I love about our glorious local scene here in Glasgow, is the constant stream of talented up and coming bands breaking through the ranks, and it has to be said it's a privilege to be able to watch these bands progress and flourish. Two of the current crop, and two very different musical beasts, are glam metal rockers Manifold and prog metal kings Megalomatic. I've been following both bands for 3 or 4 years now, and both have worked their asses off to make their way up the rock and metal ladder to a point where they are starting to be noticed well outwith the Glasgow area, and deservedly so. First up, Manifold. My first experience of these guys was catching them early on as a support act, with some of the guys wearing ridiculous wigs on stage, which rather distracted from the fact they had an obvious ton of raw talent. A few words about the image problem seemed to sink in though, as a few months down the line, a far more professional looking band reappeared on the scene, armed with a defiant new outlook and attitude to match. Since then they have parted company with their previous vocalist, and recruited John Gunn (ex Disaster Area) up front, and there's no doubt that his quirky style has added much to the band. With twin lead guitars from Ewan Driver and Darren Mahoney, plus a thumping rhythm section in JB Storm on bass and Rucka Russell on drums, this is a band starting to go places, and listening to the new EP 'The Promised Land' proves that with every song. There are times the band sound as if they've strutted off the Sunset Strip circa 1985, perhaps from the same mold as Motley Crue, Poison, and so on, but there's also more than a hint of classic NWOBHM in there as well. The lead track, and single 'Stop Teasin' kicks things off in fine style, and it's high octane foot stomping stuff from there on in. Every song has a hook and riff driven anthemic quality with shout-along choruses (check out the near 6 minute Full Throttle for a prime example) and will be sure to go down a storm live. The bonus icing on the EP cake, is a great live version of a cover the band have been performing since the early days, none other than AC/DC's Whole Lotta Rosie, and it works very well indeed. Manifold are picking up some decent gigs these days, so get along to see them at their EP launch gig at the ABC2 in Glasgow on September 8th and pick up the EP while you're at it! 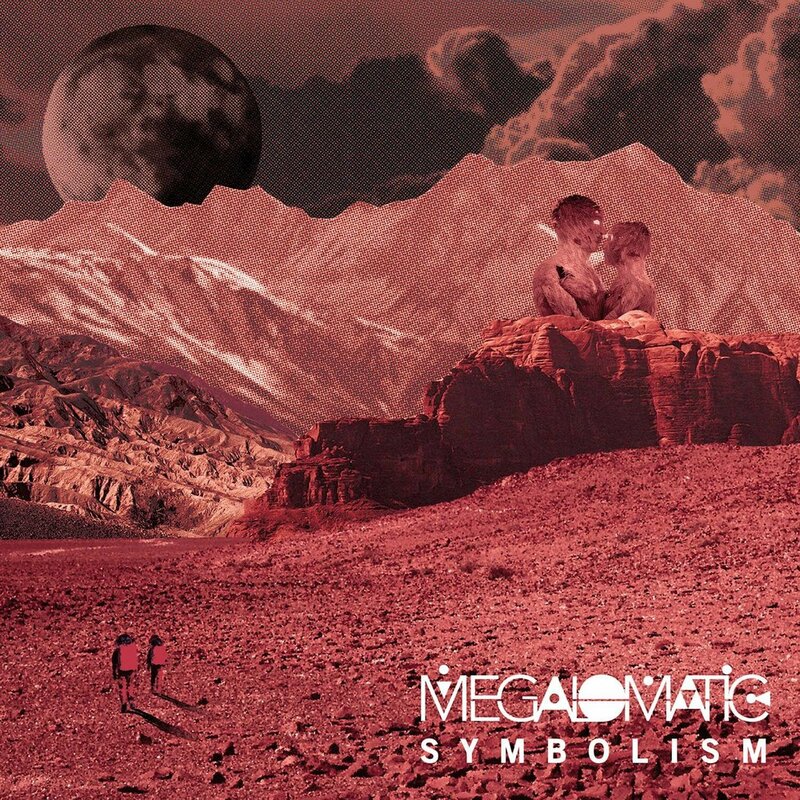 On to Megalomatic now. Again I first saw this young band very early on in their career, possibly only their second or third gig, but it was obvious they had something different and a bit special going on. Originally a 4 piece, but more recently down to the core trio of Craig McKenzie on guitar and vocals, Ben Reffin on bass, and one of the best young drummers in the business, Jamie Barnes, these guys make a racket that belies the fact there's only 3 of them. The style is unashamedly technical progressive metal, with all 3 members of the band putting in superb performances both live and on record. 4 years on from those early gigs, the band have increased in confidence and ability hugely, and it shows on the new EP 'Symbolism'. This is an uncompromising set of songs, full of light and shade as any good prog metal should be, think somewhere along the lines of the subtlety of Rush meets the crushing heaviness of Mastodon. The single from the EP, "A Yellow Car, A Golden Chariot" has a hell of a groove going on, and wouldn't be out of place on a classic era Pantera album. From there on though, things get heavier for the next 2 songs, 'Trider' and 'Cesspit', with McKenzie bellowing the lyrics at times like a man possessed, while interweaving face melting riffs and subtle licks that will have you scratching your head and wondering where the hell he dug them up from. 'Direction' gives the listener a reprieve from the in your face material, then final track Silky cranks it up again, capping one of the best metal releases I've heard this year. You have to catch the band live though to really see how powerful they can be, and they have their own EP launch at Stereo in Glasgow on September 15th, with a short headlining tour up and down the UK after that. Don't miss them!